Nowadays, community managers and customer service professionals have to deal with business crises over social media. 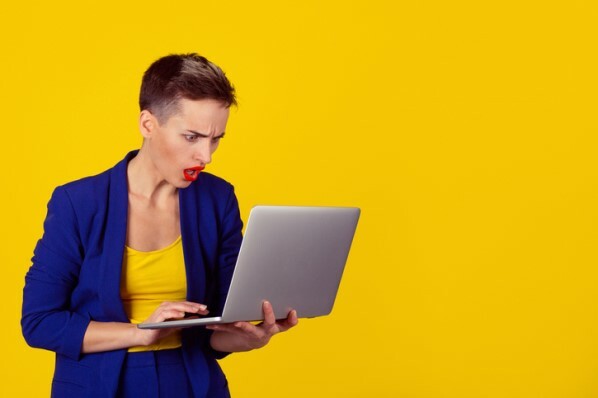 These problems could include nasty comments, unhappy customers, delivery issues, or a marketing faux pas — all problems that arise frequently and deserve reasonable and empathetic responses. While some of these issues are easily resolved, others aren't so black-and-white. Some can quickly escalate into a crisis where the right action to take isn't always clear. When these complex situations occur, how do you categorize them? How do you determine the point of escalation with each scenario? When should you get help from a manager or another team member — and who should you even reach out to? If you're working on a customer service team, then you need to know the right answers to these questions. It's important to understand social media crises and how you can use the online medium to manage a negative business situation. Whether a crisis occurs online or off, you can expect there to be a social media response from your customers. In fact, studies show that 80% of customers will use social media to engage with a brand. Social media is becoming the preferred method of communication because it empowers consumers with the ability to post a review instantly on your account for all of your followers to see. If your brand makes a mistake, customers will be quick to take to their phones to tweet or post about the issue. When left unchecked, these comments can quickly compound and escalate a simple problem into an alarming crisis. The good news is that social media can be a powerful tool for managing a business crisis. It allows you to communicate with nearly your entire customer base over one or two platforms. Your company can quickly broadcast a message and get ahead of a crisis when needed. You can also speak directly with customers using direct messaging or commenting. If one customer has an issue, your customer service team can respond to them instantly through a private or public message. 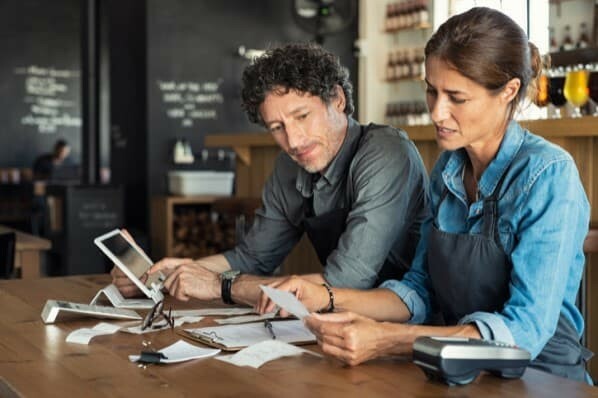 If the customer posts publicly on your timeline, an effective response from your customer service team can serve as a positive example of your customer service's credibility. Before we can start planning to handle a social media crisis, we first need to know what they look like. In the next section, we'll highlight a few examples of notable social media crises that affected real-life businesses this year. Social media crises are often unexpected and can occur at any moment. Brands big and small are both susceptible to these types of crises that can significantly impact their business's reputation. 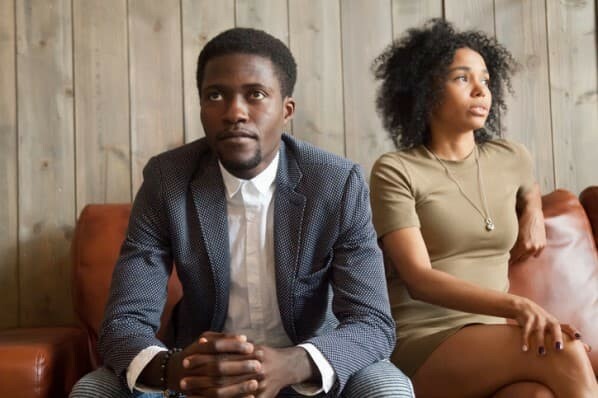 Here are a few examples of real-life social media crises that can help you become more familiar with these types of situations. A U.S. based rideshare company caused an uproar with its customers when it took advantage of a cultural movement that it was supporting by tweeting a message to promote its discounts. Consumers immediately recognized this as an attempt to undermine the social campaign and decided to boycott the company on social media. To make matters worse, the company's direct competitor took an opposing stance by donating money to the same cause. This sparked the creation of a viral hashtag that bashed the company and resulted in increased usage of the competitor's service. A popular clothing brand found itself in trouble with customers when it accidentally tweeted an inappropriate message following the Boston Marathon. The email’s subject line was titled "Congrats on surviving the Boston Marathon," which inadvertently echoed the tragic events that occurred in 2013. Twitter users quickly criticized the company for their poor choice of wording and lack of social awareness. The company immediately deleted the Tweet once it learn of the situation that it had caused. One highly-successful social media app received significant criticism when its CEO dismissed the idea of expanding its business into Spain and India. The executive called these countries "poor" and went on to talk about how his free app was designed exclusively for wealthy people. This resulted in an immediate backlash as users from both countries and elsewhere began uninstalling the app in protest. They also left thousands of one-star reviews on the app’s listing pages as well as started a boycott on competing social media channels. Successful social media crisis management begins with coming up with a strategy that proactively prepares for potential problems. The next section will break down how your business can come up with a contingency plan for a crisis and integrate it into your customer service team. When it comes to managing crisis, having a social media plan in place can be essential to your team’s success. If you’re not sure where to start, take a look at this outline which details every component that you should include in your crisis management plan. 1. Identify the source of the problem. The first step to crafting a social media crisis response is to identify the problem and locate where it originated. Not every social media crisis will start from an online source. Often something that happens in popular culture or in news events will result in a social media uproar. Finding out what caused the crisis can help you determine not only the correct response but also the appropriate channels to distribute it through. If the problem does occur offline, you’ll also want to look at the current status of your social media accounts. Has there been a response? Even if there isn’t one yet, you have to expect there’s going to be one. If customers are already posting on your timelines, then assess the damage that’s been made thus far. Look at which social media accounts it’s affecting and try to identify any trends in the comments. 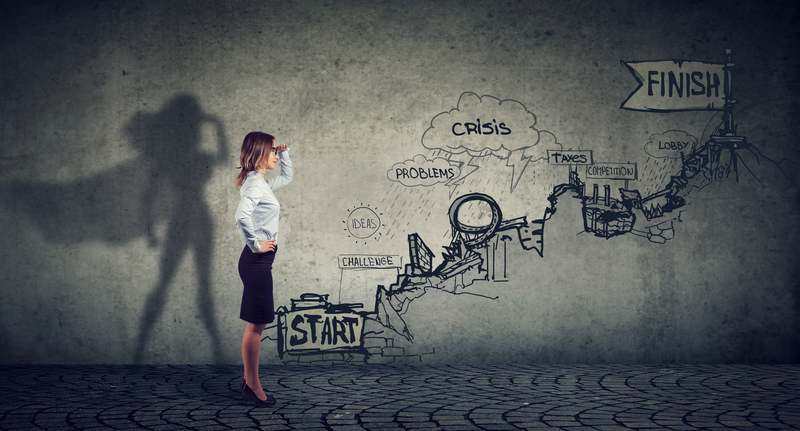 Evaluating the situation before taking action will ensure that you’re creating a long-term plan to handle the crisis. 2. Categorize the issue as a crisis or problem. The next step in handling a social media crisis is to determine the severity of the issue. Is it a problem? Or, is it a crisis? You may think that’s semantics, but there’s a key difference between a problem and crisis which determines the response that you’ll want to deliver. A problem is a minor customer service issue that can be resolved using standard service tactics. Your company may solve this with a coupon or discount that’s sent to a customer who writes an unhappy comment or post. In comparison, crises affect larger audiences and require a special response from your business to prevent escalation. It’s important not to mislabel a problem as a crisis as this can result in negative attention being brought to your brand. Social media is a public forum and users will be able to watch your company make a formal apology to a seemingly minor issue. If you’re unsure if it’s a crisis or not, begin with your standard customer service approach but be prepared to escalate the issue to a crisis if needed. 3. Use an internal flowchart to execute actions. Once you have established the right course of action to take, the next step is to execute your prepared gameplan. Since crises tend to escalate, it helps if your team plans a flowchart for what to do if a crisis becomes more severe. We’ve included one example of what this can look like using the image below. As you can see, standard responses using just the customer service rep and manager are at the lower end of the scale. As the crisis intensifies, additional measures are taken to ensure an appropriate response is delivered. Businesses executives can use this flowchart during the crisis as a guide to monitoring the status of the situation. One component missing from this flowchart is the action of pausing or editing future content. As a crisis escalates, you may need to adjust your publishing schedule to demonstrate a complete focus on the issue. Consider pausing scheduled posts, ads, and marketing emails to show your customers that you’re truly devoted to resolving the crisis. It’s important to keep in mind that this plan will vary depending on the crisis you’re faced with. Some situations will require you to take different steps to produce the most effective response. If you truly want to be prepared for every possible crisis then it helps to have an entire playbook that outlines the response to every possible situation. You may think that’ll take forever, but below is a free template you can use to create your crisis plans. From negative comments to natural disasters, it’s important to have a proper response plan for your social media channels. This guide will help you solve tough problems quickly while avoiding damages to your company's reputation. 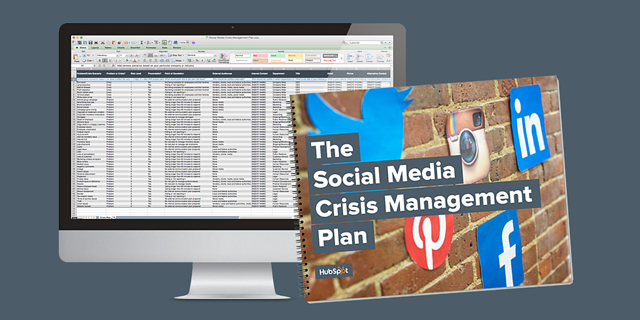 Download your social media crisis management plan here. 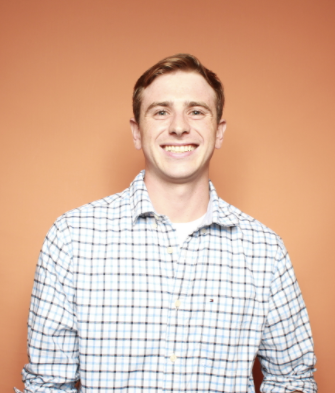 "Check out @HubSpot's Social Media Crisis Management Plan: http://hubs.ly/y0Pp-90 (Includes a PDF guide + Excel template)"